That is Fawzia Tarannum of the Coca-Cola Department of Regional Water Studies, TERI University. Tarannum was recently chosen for the Hubert H. Humphrey Fulbright Fellowship Programme for 2017-18. The programme identifies mid-career professionals after considering their commitment to public service and the scope for professional advancement. The lecturer shares how despite being an Electrical Engineer, she’d moved to this field out of passion. In 1998, when her husband got posted to Cochin she restarted her career, after a break of four years, at a Construction Equipment Company. In 2004, the company decided to diversify into building Shallow Water Dredging Equipment to address the problem of siltation in canals and backwaters of Kerala. Though Fawzia didn’t have a Mechanical Engineering background, she took charge of the project. It was a learning experience for her, and there on, was no looking back - she knew she’d found her calling. The equipment was also used for de-silting of drains in Delhi as part of the various interventions under the Yamuna Action Plan, a joint effort by the governments of India and Japan and one of the biggest programmes of its kind. Given her experience and commitment, the Coca-Cola TERI partnership was a perfect fit into her plan of action. She recalls how while growing up, she used to spend a lot of time gardening with her father in the backyard of her house, and that she was particular about ensuring that she didn’t waste water. When she saw waste being discharged into the river Damodar, and how it impacted the environment, she had found a cause to pursue. When asked how she came to go on tree planting and beach cleaning drives, she states she planted trees for personal reasons, as something she wanted to do. For instance, on the occasion of the 25th anniversary of her having pursued Engineering at Aligarh Muslim University, she went back to plant 100 more trees. She adds that she loves doing things like these as a passion anyway. The opportunity of beach cleaning as an initiative came up because she spent ten years living close to the beaches. “I would also take students from the training institute for similar tasks,” she says. Fawzia shares in detail how crores have been spent for decades to save India’s rivers. As is evident, the situation has worsened with time and as the approach to tackle the situation is technical in nature and is pivoted around installing sewage treatment plants. However, this approach has several flaws. The lack of a conveyance system for transferring the sewage, for instance, prevents the plant from working at full potential. Absence of trained manpower adds to the problem. She emphasises that the problem is not just technical - it’s social, legal, economic and regulatory as well. And that is why a uni-dimensional approach will never work. TERI University is a unique institution which offers courses exclusively around environment and sustainability. The programmes are interdisciplinary in nature and equip students with theoretical and practical skills required for developing sustainable solutions for managing resources. She adds how students from TERI University are engaged with NGOs, grass-root organisations and are contributing towards managing water resources through community participation, besides other initiatives. Fawzia acknowledges that saving of India’s rivers would require multidimensional approach. The country actually needs a social transformation to bring about change, which can happen only by working closely with people. For instance, she brings to our notice, the Narmada Yatra, a four month journey, where people were training villagers on tree plantation, besides conducting street plays to sensitise people about the aforementioned problem. She stresses on the fact that even now the interventions for restoring Rivers Ganga and are primarily engineering-centric – which is a problem in itself. The root of the problem needs to be addressed, not the consequences alone. Fawzia’s journey is sure to serve as an inspiration for individuals who care for the environment. Wanting to take her commitment to environment to the next level, Fawzia applied for the Fullbright Programme, in June 2016. Having entered ‘Water & Sanitation’ as her area of interest, Fawzia described her stint at Cornell University. 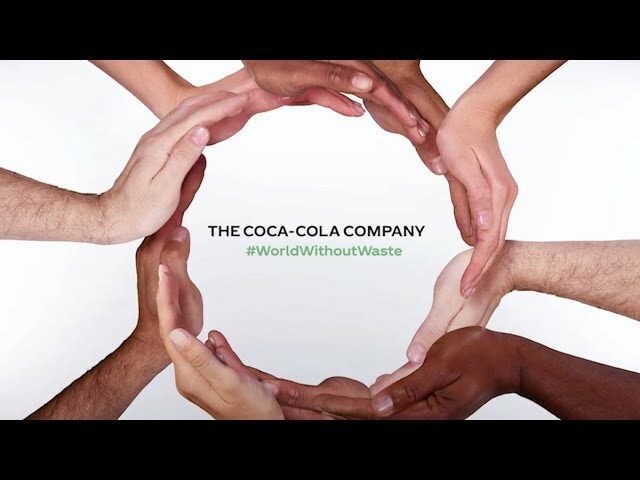 Set up in 2014, the Coca-Cola-TERI University partnership was formed to enable committed individuals to identify and analyse water and wastewater management issues in an interdisciplinary, trans-boundary and cross-cultural framework.